Romeo's friend and loud-mouthed, verbose companion. Now where the heck did the idea for this face and hair come from? Even I don't know. It must have been the feeling of the deadline looming over my head. 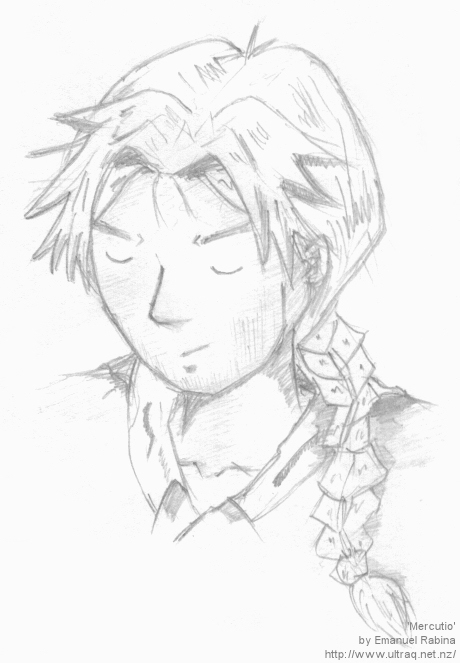 Well, I needed one more character to draw for my assignment, and a slightly rugged was who I thought Mercutio to be. BAM! Instant chatacter.